ENTV - English Is Your Global Passport! Focus: Talking about flying in an airplane. 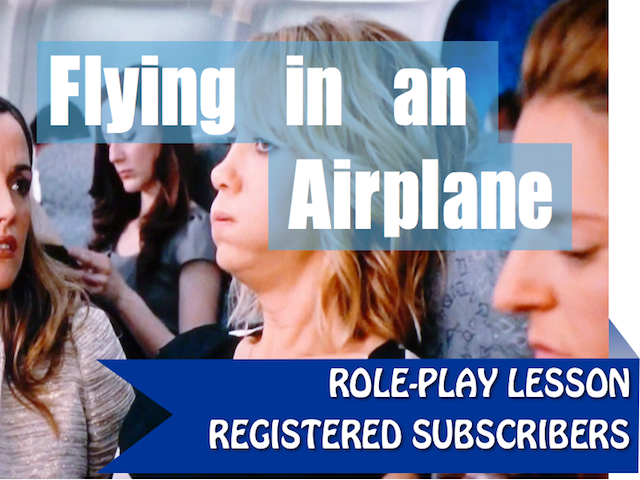 Made for 4 people, this Role-Play is great for expressing enthusiasm, experience and feelings about flying. Focus: Dealing with bad customer service. 2 People. 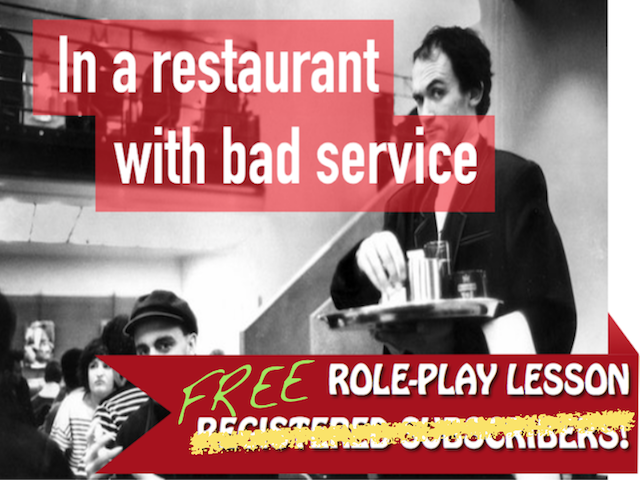 On rare occasions, you might get bad service in a restaurant. Dealing with negatives is not easy, but here's a fun example! Great for expressing disbelief. Focus: Saying what you want. 2 People. When you go shopping in an English speaking country, you will be asked if you need any help. 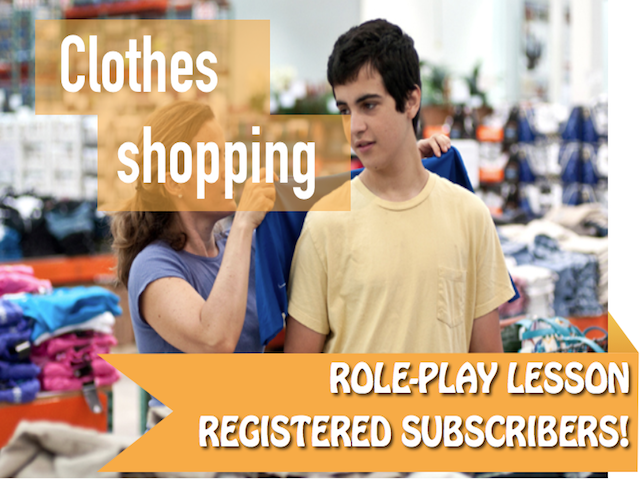 This lesson will help you practice to say what you want in a clothes store. 2 People. 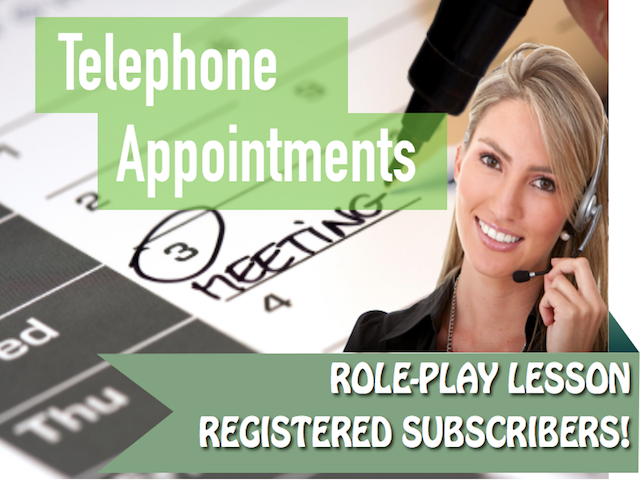 Before or during a visit to an English speaking country, you might need to make appointments or book a hotel date, over the telephone. 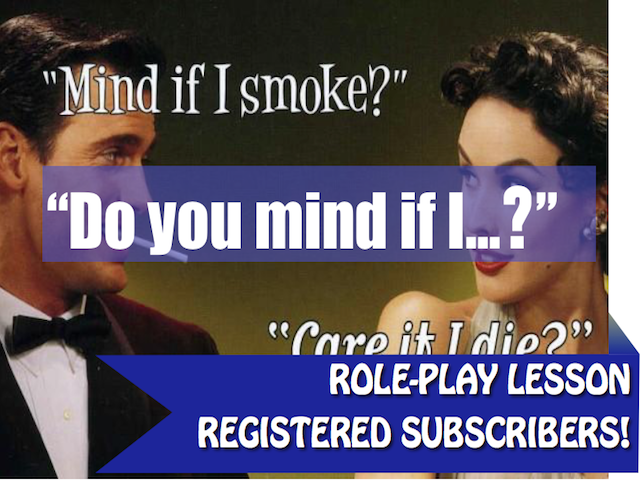 This short role-play will help you to practice just that! Focus: Making complaints; Asking for a refund. 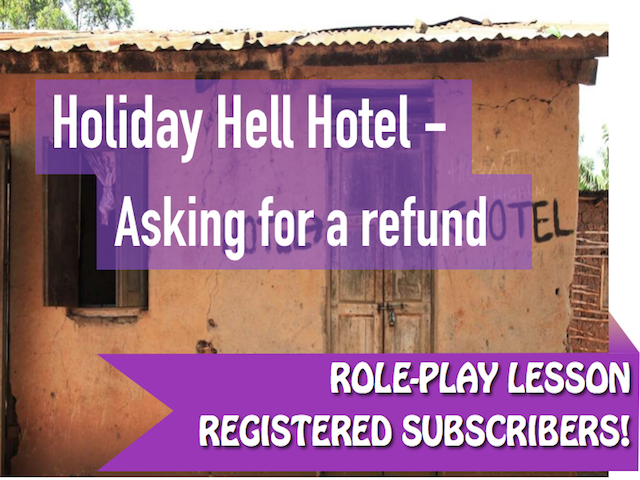 With this role-play, students can learn to express their frustration at not getting the holiday they paid for, how to ask for a refund and describing situations in any situation where they may have purchased something. Focus: Ordering in a restaurant. 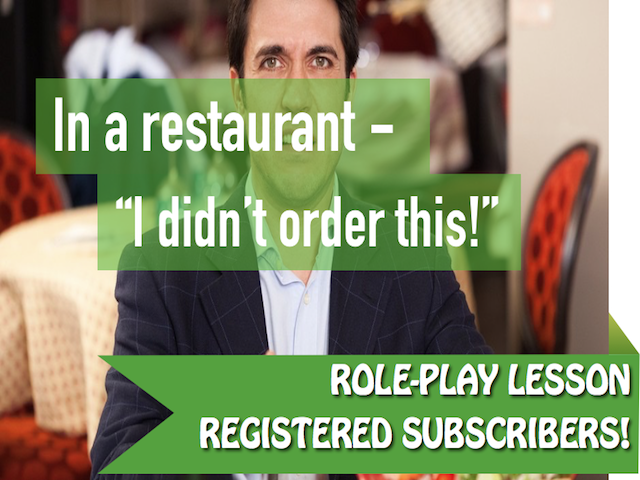 Using adverbs, verbs and adjectives, students role-play ordering food in a restaurant and how to complain politely when their order is continuously wrong. Focus: Asking permission to do something. Using Nouns, Verbs and adjectives, students can practice asking permission to do something when in a new location. Ideal practice for students preparing to do a Home Stay term! Level: Intermediate+ For 3 people. When you travel to an English speaking country, you might be visiting your first English speaking restaurant for the first time. 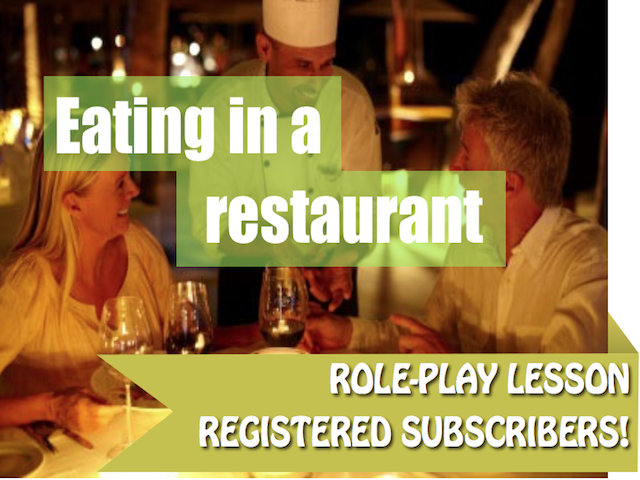 This lesson gives practice in ordering from a menu and giving preferences.